Time for another Extended Range LTE expansions. T-Mobile’s been announcing quite a few Extended Range LTE expansions as of late, including Atlanta, Los Angeles, Austin, Washington D.C., and more. It’s not hard to see why T-Mo is excited about its Extended Range LTE coverage, as it reaches over greater distances than its other LTE airwaves, something that should help it better reach over rural areas. Extended Range LTE also offers better building penetration, which is something that city dwellers can appreciate. 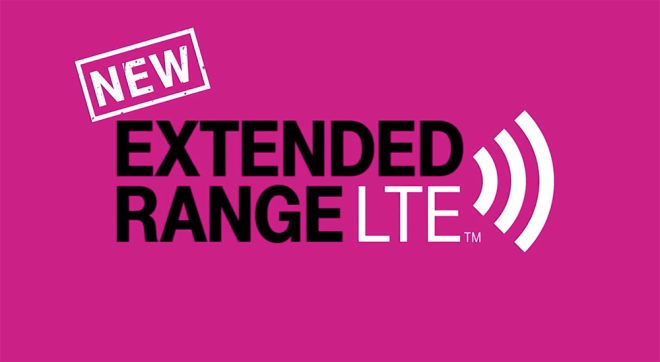 T-Mo has said that it plans to have Extended Range LTE in more than 350 markets by the end of 2015, and it certainly looks like John Legere and Co. are working hard to meet that goal. Are any of you in the Indianapolis area? If so, how’s the Extended Range LTE treating you? Maybe you don’t have a compatible phone ? What phone do you have ? Would love to get some band 12 loving in north-eastern NJ. It’s fall 2015 and I am still stuck using wifi in buildings. It’s coming. The deployment has made it outside of NYC. I’ve seen it in Elizabeth, Newark, Wayne, West Milford and Stockholm. There was a post i saw on Reddit from someone who picked it up in Wyckoff. It’s also made it to the I87 corridor going up into NY State past the tolls at Exit 16. Yeah i live right next to wyckoff and actually picked up band 12 at the gamestop in midland park, unfortunately the signal misses my office in Westwood. How is band 12 in Philadelphia? I haven’t seen it on my phone iphone 6s Plus here, I live in the upper darby area. Hope they develop more here! I hope they’re still deploying here, is it official in Philly? Or was it just sightings? Yeah they need to develop more did you contact the greater Philadelphia director? I might send some email to John or the director or somethin. It won’t allow me to post but the person is Kerri.Strike in a regular Tmobile email fashion. I also don’t see an official T-Mobile post on the 700Mhz so I don’t think its official yet. They will continue to add sites. Takes time. Just look at the map, T-Mobile has updated a massive number of towers. T-Mobile is flying thru Band 12 update. Ahhh I thought it was official in Philly, I never seen it on my phone I was feeling appointed that I haven’t seen it, but since it isn’t official yet I’m glad. Ok tomorrow I will test it. I have to travel the north part of the state. I need a band 12 phone! I live in northern Avon on the West side of Indy and I can connect to at least 3 towers and the only one that shows band 12 is the furthest one NW of me near I-74. The 2 closer towers I’m connecting to are band 4 connections. I was in an office building near castleton and even had a signal inside the elevator. Well not happen in Chicago. It’s amazing how fast T-Mobile is updating their towers. Band 12 roll out is flying. Thank You T-Mobile, Thank You John Legere. Ya, you won’t be thanking them once you realize what crap speed you’ll get when you used to get good connection and FAST speed. Enjoy your slow speeds when you used to enjoy good connection and fast speeds! Sad but true. I used to get 35+Mbs, now I’m lucky if I can get over 15Mbs & sometimes even get 1.3Mbs on T-Mobiles LTE. They seem to be adding subscribers & speed, but not capacity. So I have my friend who drives for UPS. I’m located in Dover NJ, 07801… Anyway he just told me he delieverd a ton of boxes to Verizon. Not the retail store, the building they work on towers and poles. Anyway, my friend asked why so many boxes. He was told by the Verizon worker that they are building out Tmobiles upgraded network. Said the Verizon guy said T-mobile is completely crushing their LTE build out. So does that mean Verizon is building out the 700mhz for Tmobile as part of the swap they did? Its really exciting if thats the case, and would explain how they build out the network so fast. If this is old news i’m sorry but its news to me..
Carriers often lease space on other carriers’ towers. It could just be that Verizon’s taking care of T-Mobile’s upgrades on their own towers that T-Mobile leases space from. I hope this extended range LTE roll out will soon cover rural areas as well as cities. I am out here in fowler Indiana at the Amazon Wind Farm for month and half already. I didn’t have LTE at that time, but after come from R&R Tmobile Band 12 is making my Verizon and att service collecting lint an dust I my truck. Keep on Building T-Mobile and customers will come. Did you update your daughter’s phone to a Band 12 device? From Carmel with t-mobile Note 5, have not seen any band 12 yet. I think I need travel up north via I-65 to see if I can experience any band 12. Same boat. I work near 465 & Michigan. Still band 4. Nexus 6. From my experience, they need to call this Extended Slow Range LTE. Don’t throw numbers out there, because my experience is mine alone.